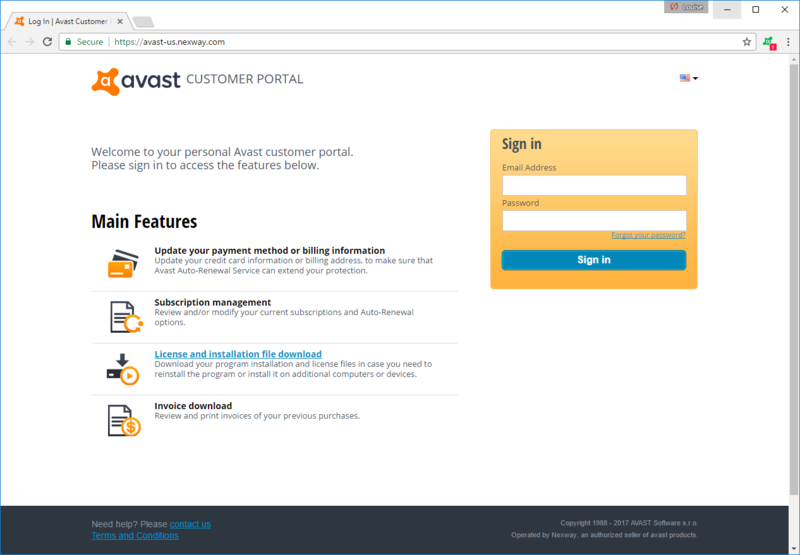 You can update your registered credit card details for automatic renewal subscriptions at any time via the Nexway web portal. Open the order confirmation email you received when you made the original purchase and locate the link to make changes to the automatic renewal service. You are directed to the appropriate Nexway web portal according to your location. 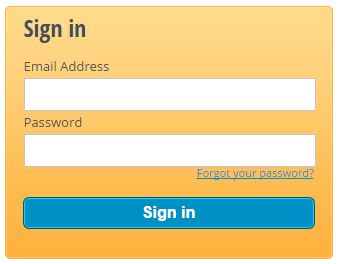 Provide your email address (that you used to make the purchase) and the password from your original order confirmation email, then click Sign in. 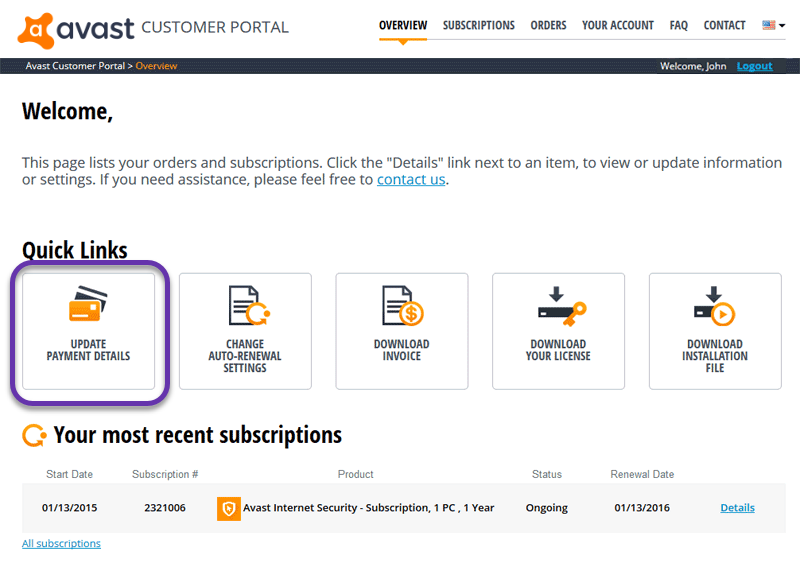 If you cannot find your order confirmation email, click Forgot your password? to provide alternative identification information. 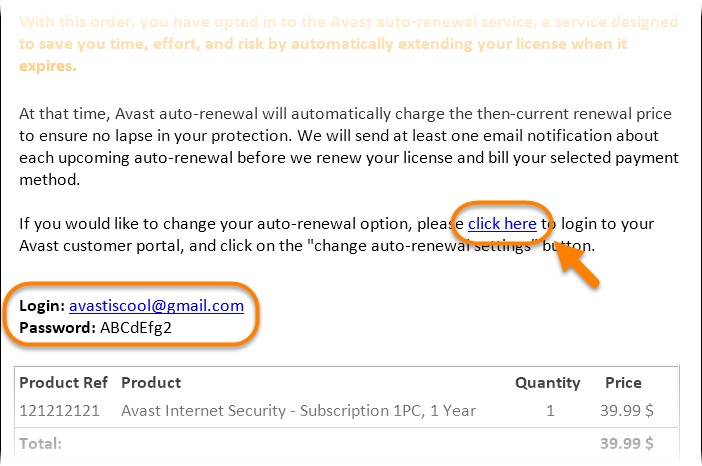 On the Overview page that appears, click Update payment details above the list of your current subscriptions. In the Payment and Billing Details section, click Modify Payment Details. 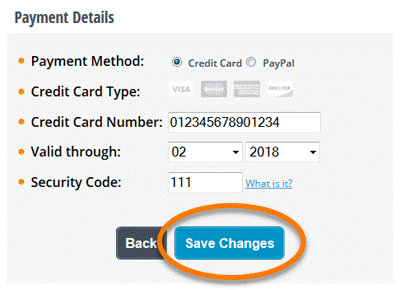 Credit card: enter the necessary details, then click Save Changes. 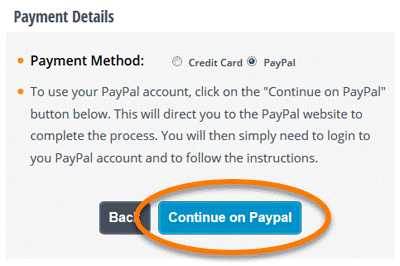 PayPal: click Continue on PayPal and complete the process on the PayPal website. 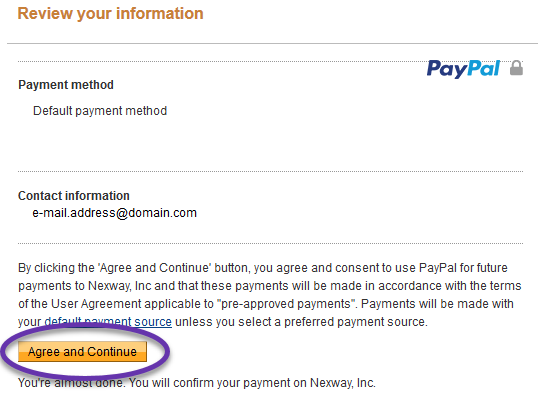 Log into your PayPal account, review the information and click Agree and continue.